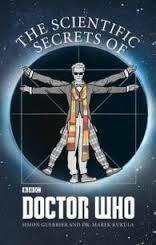 The first official guide to the science of Doctor Who - an all-new adventure in space and time.Doctor Who stories are many things: thrilling adventures, historical dramas, tales of love and war and jelly babies. They're also science fiction � but how much of the science is actually real, and how much is really fiction? The Scientific Secrets of Doctor Whois a mind-bending blend of story and science that will help you see Doctor Who in a whole new light, weaving together a series of all-new adventures, featuring every incarnation of the Doctor. With commentary that explores the possibilities of time travel, life on other planets, artificial intelligence, parallel universes and more, Simon Guerrier and Dr Marek Kukula show how Doctor Who uses science to inform its unique style of storytelling � and just how close it has often come to predicting future scientific discoveries. This book is your chance to be the Doctor's companion and explore what's out there. It will make you laugh, and think, and see the world around you differently. Because anything could be out there. And going out there is the only way to learn what it is. About the AuthorsSimon Guerrier has written countless Doctor Who books, comics, audio plays and documentaries. As research for one of his Doctor Who stories, he studied GCSE astronomy at the Royal Observatory Greenwich - which resulted in an A* and the plot for another Doctor Who story. Simon regularly writes for Horrible Histories Magazine and medical journal The Lancet Psychiatry. With his brother Thomas, Simon also makes films and documentaries - most recently The Fundamentalist Queen, about the wife of Oliver Cromwell, broadcast on Radio 3 in December 2014. Dr. Marek Kukula is the Public Astronomer at the Royal Observatory Greenwich, the home of time and space. Originally he wanted to be a Time Lord when he grew up but settled on astronomy as the next most exciting thing, going on to study quasars and distant galaxies with the Hubble Space Telescope. Marek regularly appears on BBC science shows such as The Sky at Night and Bang Goes the Theory to explain the latest astronomical discoveries and has also turned up in Doctor Who Confidential, where he showed Karen Gillan how to view Saturn through a telescope.